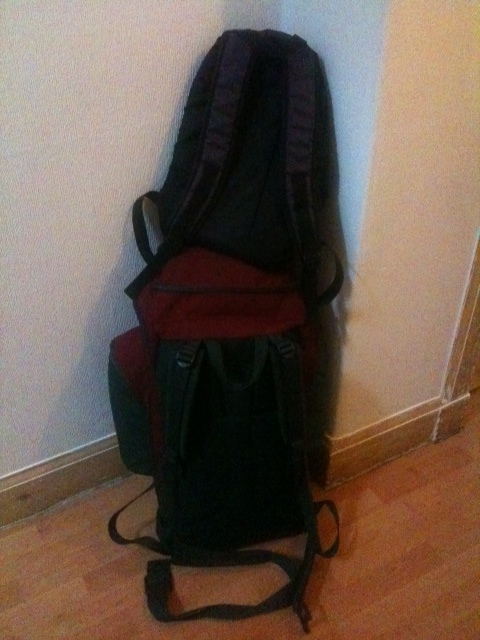 Well, I’m all packed up and ready to go to the Solas Festival – camping gear, clothes, waterproofs (the weather forecast looks miserable) and a pile of books that hopefully people will be interested in buying. As you can see in the photo, it’s been quite a test of compact packing. My long train journey kicks off later today. I’ve actually now been lined up for two slots, and if you’re coming to Solas then here’s the key information. The second of the two is what I announced before: a talk about travel, writing, the mullets and other bits and pieces. This will be in the Southern Cross tent at 12noon on Sunday. I’ll read from UTCWAM and the just recently completed draft of my second book, I’ll talk a little about travel and writing generally, and also witter on a little about my forthcoming write-up The Next Stop. Before that, though, I’ll be appearing on the panel of the festival’s comedy quiz on Saturday at 2pm in the Milky Way tent. Inspired by all the best TV and radio panel shows, this will be a mix of all sorts. I hope they know what they’re letting themselves in for by asking me to be a part of the panel. If you’re going and you see me, say hi. If I don’t drown over the weekend, I’ll give a full report when I get back.